You are at:Home»Featured»Slow Summer Brain Drain + 6 Free Printables + GIVEAWAY! Summer Brain Drain is an actual phenomenon. When students are out of school for the summer, they stop engaging critical areas of their brains. A good portion of what they learned the previous school year seems to completely fall out of their heads. This summer, I’m working on trying to curb as much of the summer brain drain as possible with my littles. My youngest has special needs. We cannot afford to have her lose anything she learned over the school year! That is why I absolutely LOVE Noggins and plan on incorporating the heck outta them into our summer routine! When my daughter had some of her IEP assessments this past school year, one of the concerns was regarding her hand-eye coordination. Her writing is almost completely illegible, and part of it is because she struggles to hold onto her pencil properly. 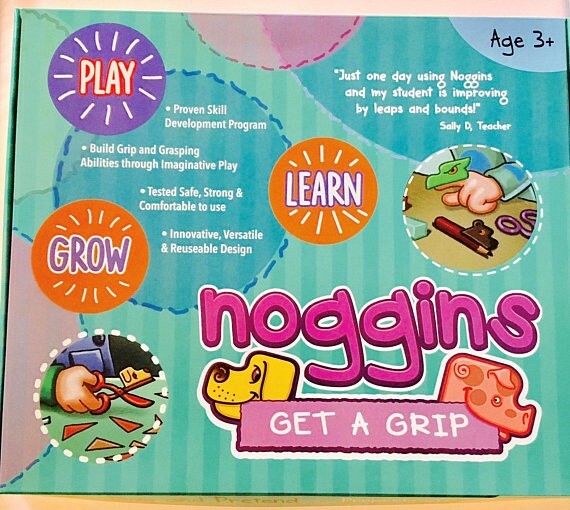 Noggins work to not only help her with her grip, but also focuses her hand-eye coordination. Plus, they’re so cute and fun, she can’t WAIT to get her little hands on her pencils to practice her writing while she plays! It’s a total win on every front. They are a little figure or creature or animal shapes that are super fun and appealing for kids. They also have worksheets, kits designed specifically for motor skill development, stickers, and a ton of other fun things to get kids excited about writing or coloring. 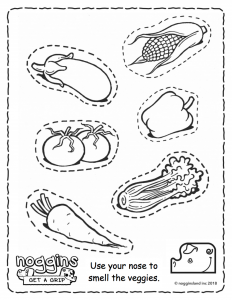 DOWNLOAD YOUR FREE PRINTABLES FROM NOGGINSLAND! 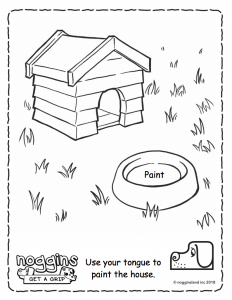 Keeping my daughter excited about writing and playtime with Noggins serves double-duty. She is constantly practicing her letters and words just so she can play with her Noggins. It’s so remarkable, I truly wish I had found these guys earlier on. 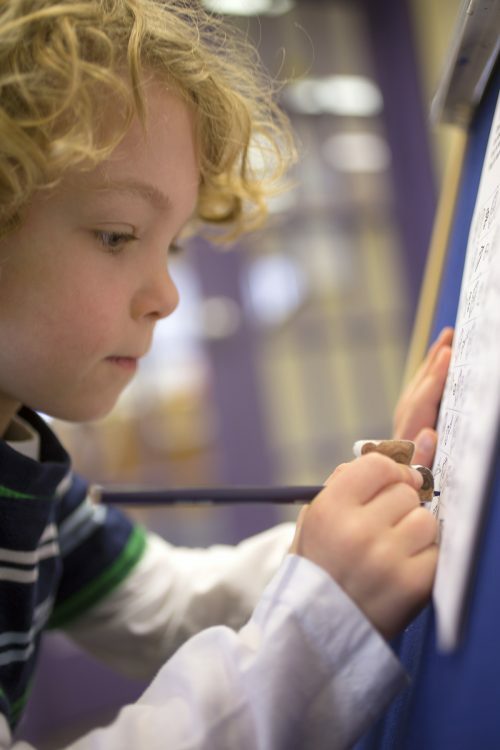 It would have made homework time and practicing letters a lot less of a struggle! 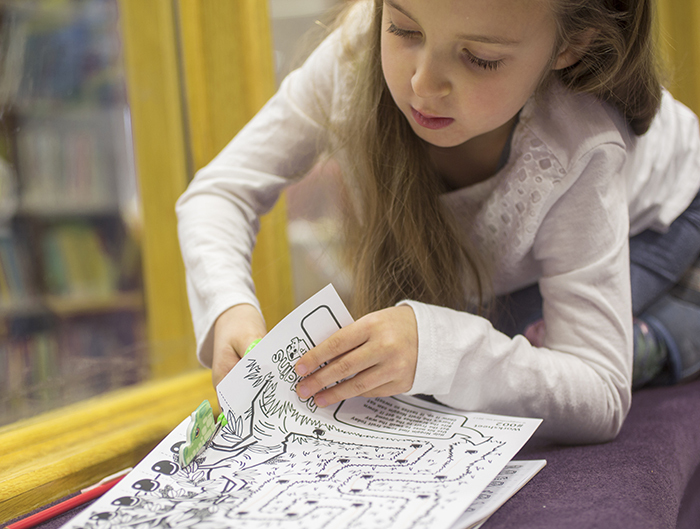 Putting a Noggins in the hands of my kids–whether it is attached to a crayon, paintbrush, pencil, or scissors—is an amazing way to watch their imaginations take flight. They create artwork that tells complex stories based on the Noggins they are using, incorporating their pencil or crayon or brush right into the story. 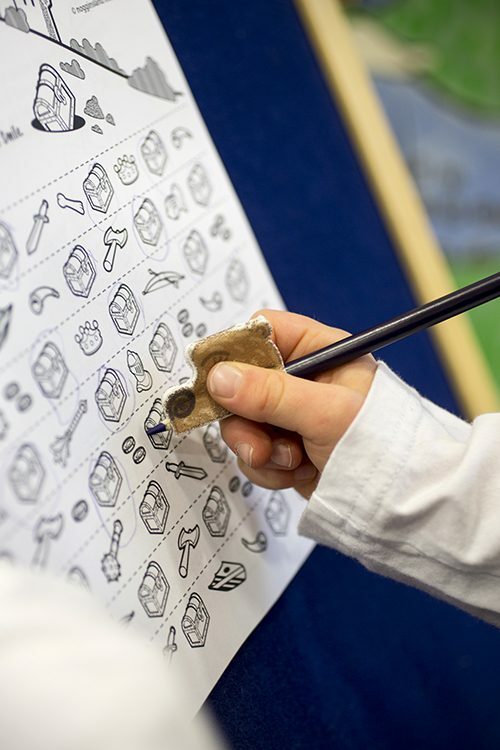 These complex stories and imaginative play is a wonderful way to keep the language and writing skills they have spent all year learning sharp. I am really and truly amazed at how much my daughter has grown through using Noggins. I won’t go so far as to say they can turn poor students into scholars, but they certainly work wonders to keep kids more engaged and interested in the task at hand. 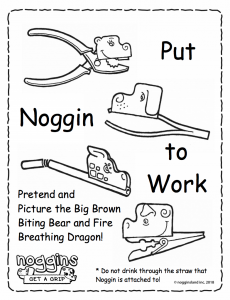 For me, the Noggins are a reasonable answer to the Summer Brain Drain that plagues so many kids when they are out of school for a few months each year. My own kids are finding themselves much more engaged with their tools and focusing on how they can use them in more new and exciting ways. Want to know the coolest part? 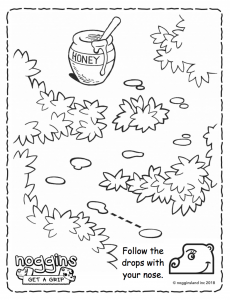 You can download 6 free printables to keep those Little Ones’ minds sharp! Each printable focuses on a different critical thinking skill that can help hone some of those skills your kids’ teachers worked so hard to instill in them this year! 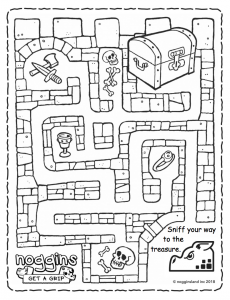 ENTER TO WIN YOUR OWN NOGGINS SET TO ELIMINATE SUMMER BRAIN DRAIN! #NameYourNoggin for National Family Week! Mother of two active teenagers, living in Arkansas with her Husband, she and her family are energetic outdoor enthusiasts. They can be found Camping, Hiking, Kayaking, and always finding new ways to enjoy the beauty of the outdoors. A country girl at heart, but living in the middle of town, she has found creative ways to make the best of both worlds. Founder of thatsjustlife.com and contributing author of The Mom Quilt, she writes and blogs about food, family, and their many adventures. Nice post! This is very interesting article about summer brain drain free printables for children and school students. As a mother I am very liked this post. Anyway I am sarah an creative writer at samedaypapers.com. This is very famous writing services company. You may check it.